This wreath is so eclectic, but it’s very me. 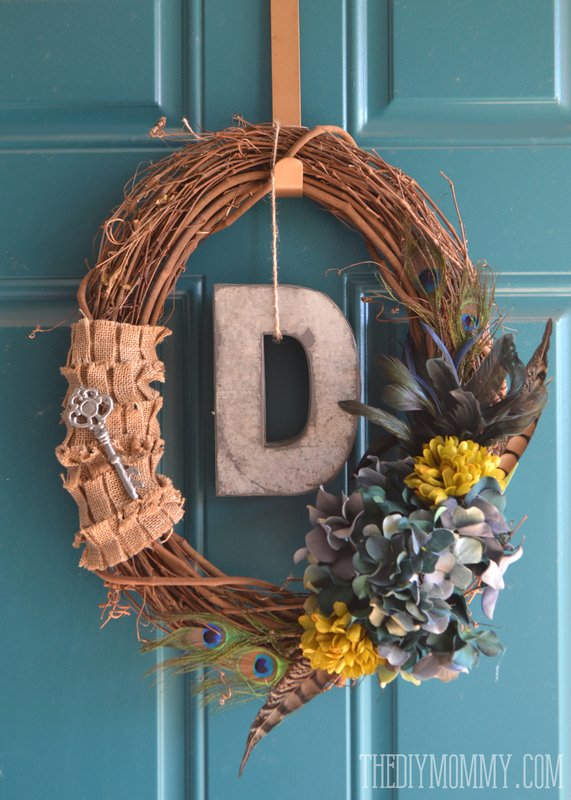 I love the boho feel of the feathers, and the vintage look that the key, the burlap, and the distressed metallic “D” give the wreath. I definitely love how it looks up against the colour of our door, and with the little golden “Hello” sticker I have on it. This was a very simple DIY. I first arranged everything without gluing it to see where I wanted everything placed, then I carefully took all of the elements off of the wreath and glued them back in their spots with a glue gun. Little C helped me choose spots for everything; my 5 year old has quite the eye! 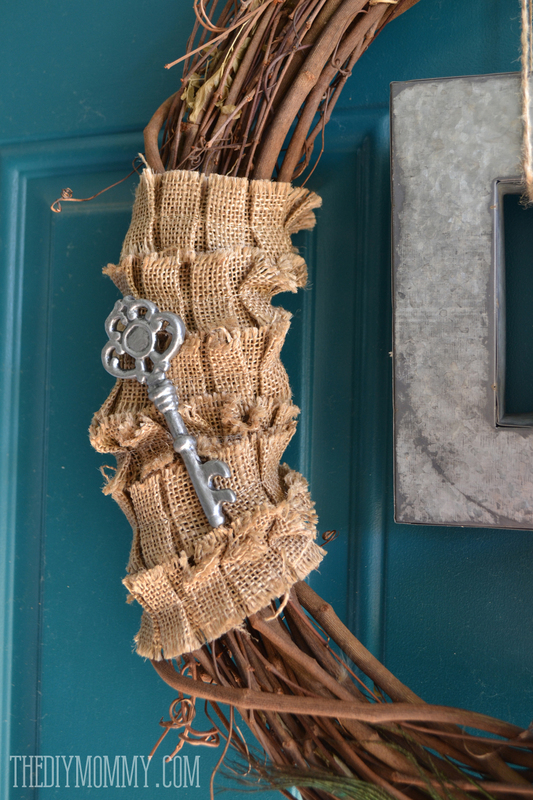 I wrapped a few inches of the wreath on the left with the burlap ribbon, and glued the key over top. On the right hand side, I placed the large teal hydrangea off-center, glued feathers in a pleasing arrangement around the flower, and glued some of the green mums around the hydrangea to balance it all. 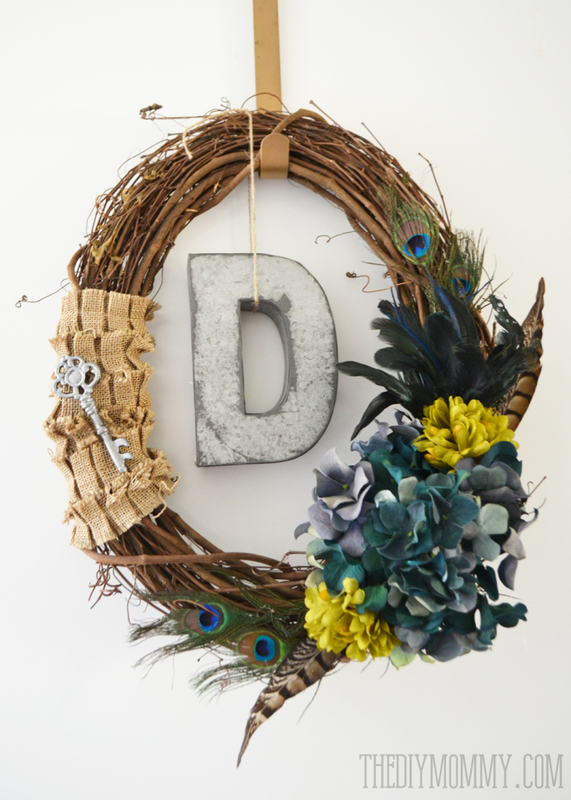 I strung the galvanized “D” from the top of the wreath with string, and voila! 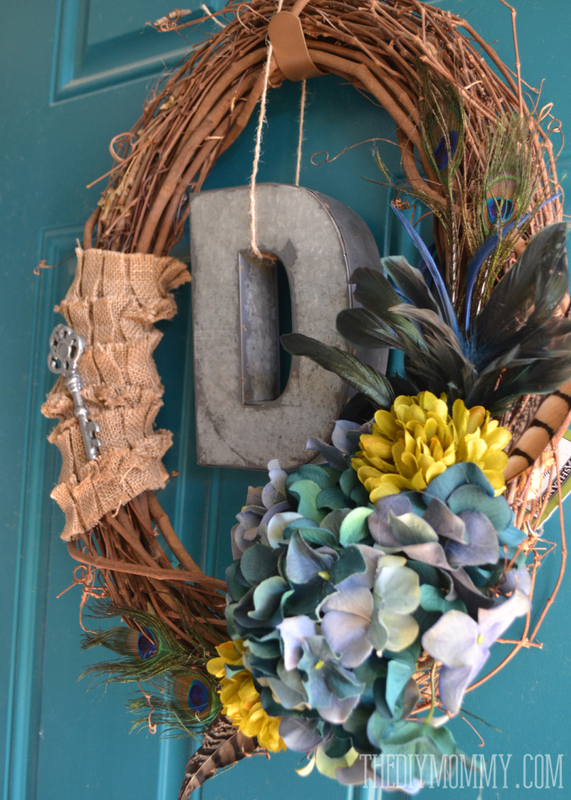 My vintage inspired Fall wreath is finished and ready to greet my guests (and me). 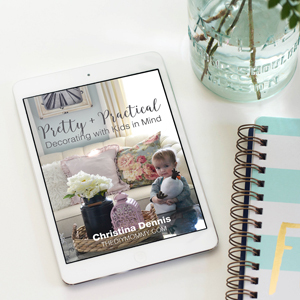 Love your feather wreath, Christina. It looks amazing against that great door. SO gorgeous Christina!!! 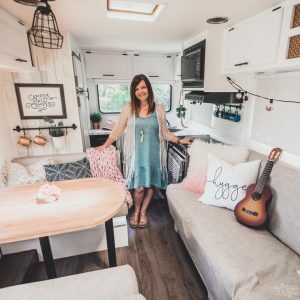 LOVE the nontraditional peacock feathers! 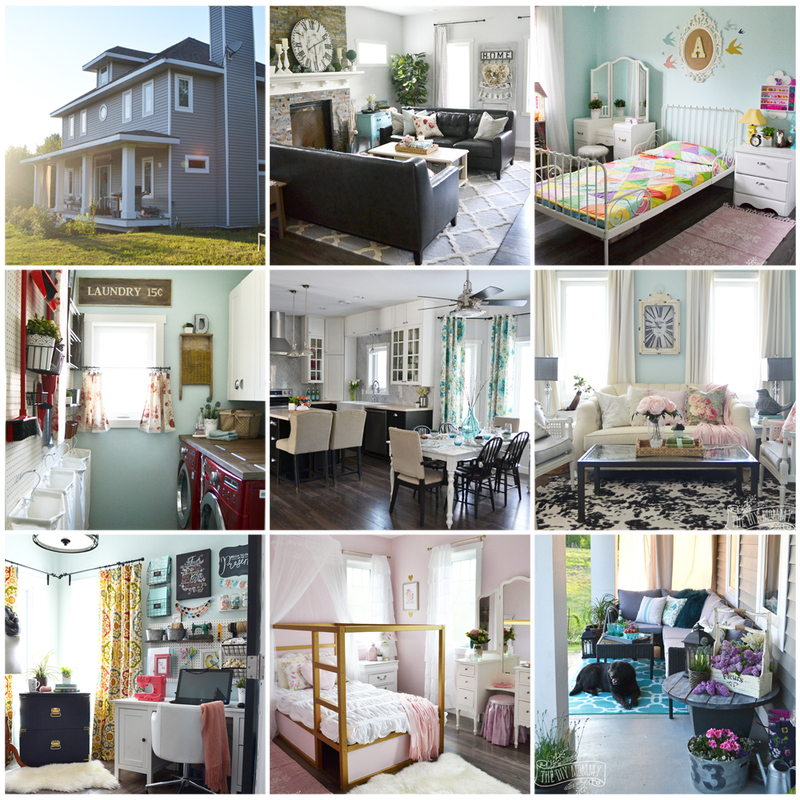 SO pretty and fun! Thanks, Kristi! I love them too. I’m happy I went with something a little less traditional! I saw your photograph of the materials you were going to use on Instagram and I was so curious to see the final product. It is fabulous. I love the use of the feathers and the burlap. So creative and so unique. 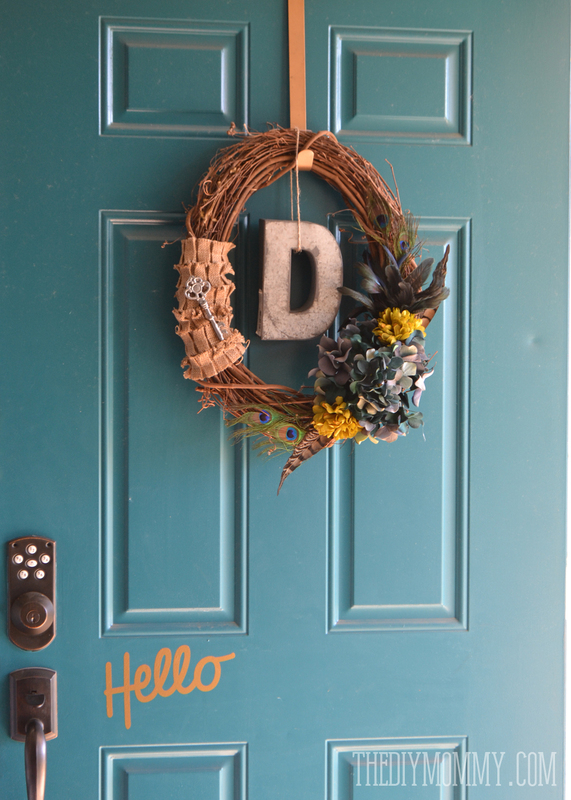 It fits perfectly on your teal door! Thank you, Thea! Yes, I really love how it looks on my door. It’s definitely a keeper! So pretty Christina! It is very “you”! Happy Fall!! Thanks so much, Angie! And thank YOU for having me as a part of your blog tour. Oooooh I love this wreath Christina! 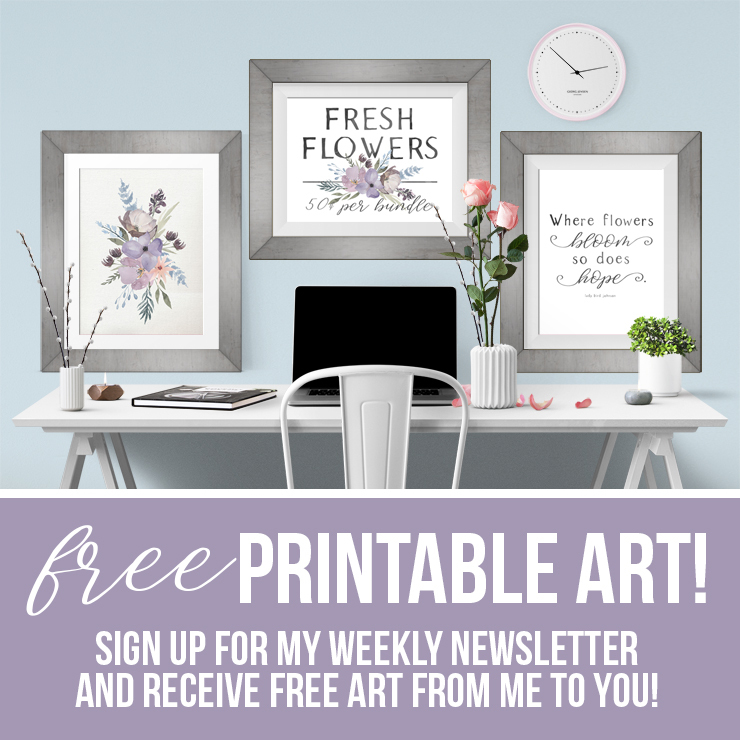 It looks perfect with the colour of your front door! Gorgeous! 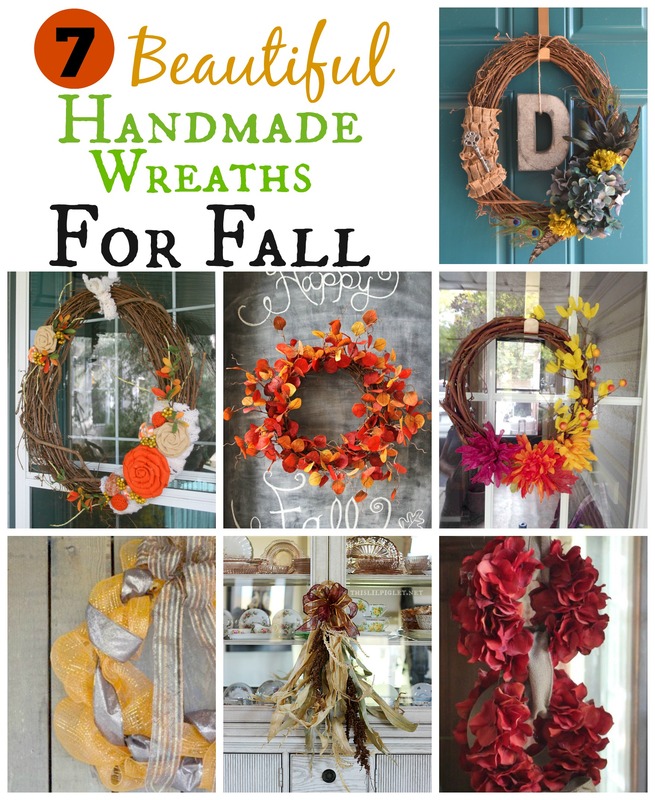 Jo-Anna recently posted..Fabulous Fall Wreaths! Thanks so much, Jo-Anna! I love me some teal! Thanks so much! I love the feathers too. So thoughtful of you to include the key to your door so that neighbours can enter your house whenever they wish! ;D All joking aside, that wreath goes PERFECTLY with your door, and both are totally “You”! 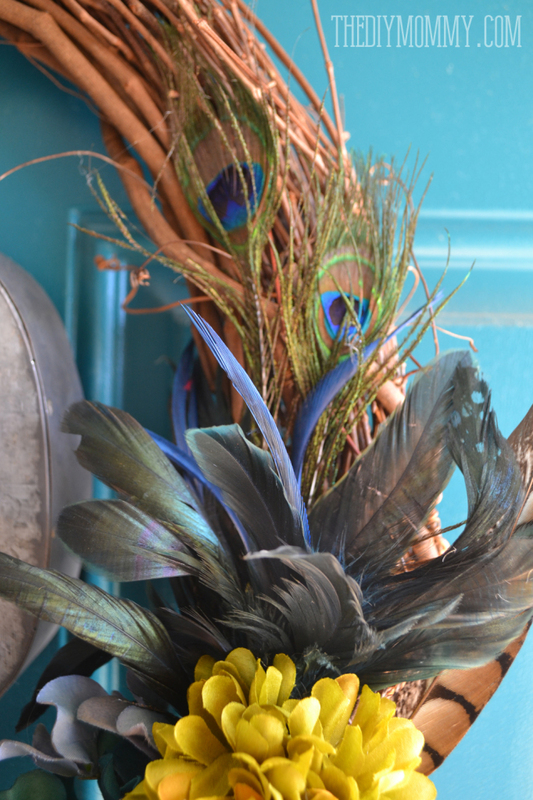 I also love using pheasant feathers (and other feathers) in my fall decorating. Gotta get me some burlap though! Haha! Yes – C was concerned about having a key out in the open so that “anyone could break in”. 😉 Thanks! Feathers + burlap totally say “Fall” to me.